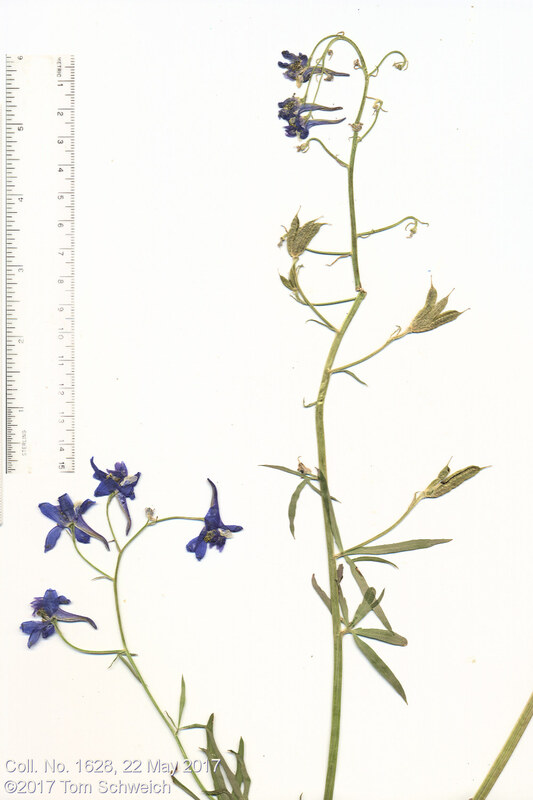 Stems blue-purple, leaves few, follicles flaring outward from base. Field Notes: Coll. No. 1628, 22 May 2017. Other photos about Species or Ranunculaceae Delphinium nuttallianum.